﻿ Editorial – That’s it, folks! Editorial – That’s it, folks! That’s it. It’s all over. What players, officials, fans have been waiting for four years is gone. 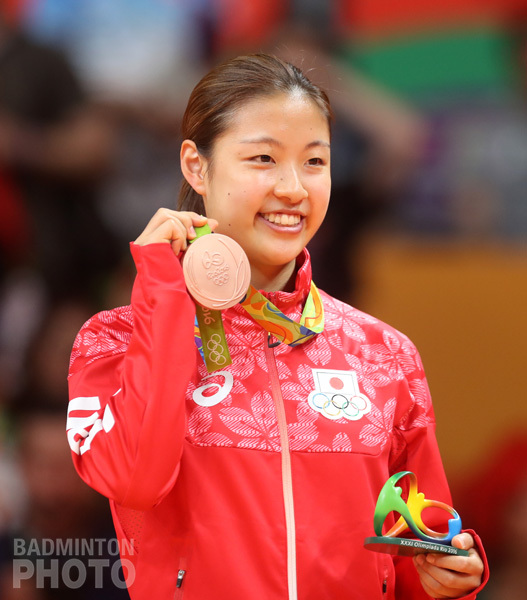 Rio 2016 is finished for badminton. As always, with so many memories to have, for all those who participated, but also, for those who watched. Live, for the lucky ones. On TV or online for the rest of us. For the first time in 16 years, I was not in the badminton venue when it all happened. I was away. First in the middle of the mountains in Nepal, where I would often break my promise not to look at the results and quickly check on my phone for the online scores, then back in France, where I enjoyed the medal matches live on TV. It was a first for me, and a strange feeling as I usually get to enjoy all these moments out there, only metres away from the athletes. Sharing their joy or despair live. But even thousands of miles away, I could still feel and share their emotions – the modern technologies are now allowing TV viewers to really get a feel at what’s happening out there – even if I would still get angry at cameraman going too close to celebrating players when I know that at the same time he’s in the way of my fellow photographers on the side court. 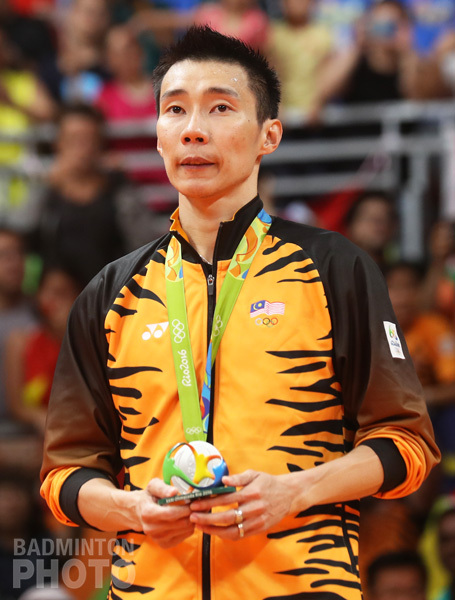 So here I was, in front of my TV, ready to watch one last time – probably – Lee Chong Wei and Lin Dan play each other. It suddenly took me back exactly 16 years ago, when I discovered them both in the World Junior Championships. I knew then they would be dominating the sport. Such grace, speed, raw talent. Here they were again, 16 years later, battling for a spot in the final. I wish they had met in the final in Rio, but the draw decided otherwise. For the first two games, I was a bit disappointed – many mistakes, uneven performances. But the third game was exactly what I was expecting. And when Chong Wei reached 20-17, I thought that was it, he had finally broken the spell. But no. Lin Dan is Lin Dan. The Magician. He got back to 20-20. I remember myself thinking: “Again? How can this be possible?”. But this time, Lee Chong Wei was the strongest. He got his revenge right there. During these two points. He showed to the world that he was the best for these 3 minutes. He won. He had finally beaten Lin Dan in a major competition. 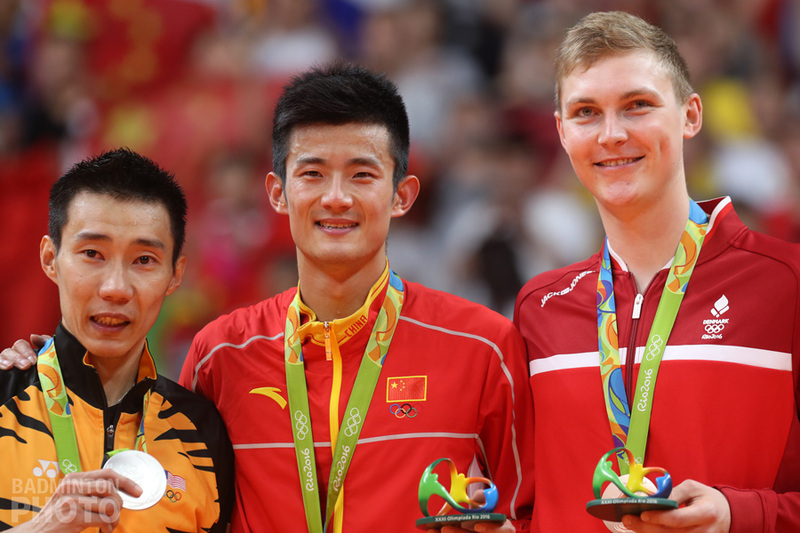 Of course, the day after, Chen Long was too strong, too quick, too fresh, too accurate for the Malaysian, who still put on a brave show. But I think he had little psychological power left. Not enough stamina left after the battle of titans less than 24 hours before. 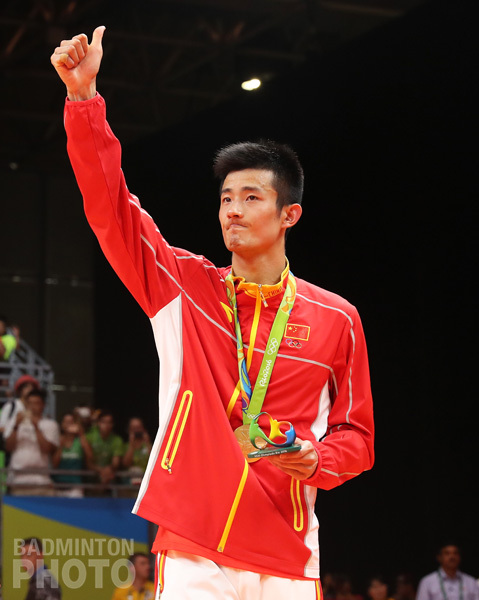 Kudos to Chen Long – he deserves the win. The day before, I had witnessed my friend Carolina Marin take gold in the women’s singles. What a match! What an athlete! She is on her way to becoming Europe’s best ever player because of her never-say-die attitude. Some say she has an arrogant attitude on court, shouting over and over. But it’s because she wants it badly. She’s just a warrior on court. That’s what it takes today to be the best, when you come from a country when badminton is basically unknown. Against all odds, she and her coaches, Fernando and Anders, have proven to the world it was possible. I shed tears of joy with her when she collapsed on the floor after match point. P V Sindhu was such an amazing opponent, in the fight she gave, but also in the manner she came to congratulate her opponent, picking up her racket and hugging her. These moments remind us all what sport is all about – friendship, fraternity within the competition, just like the one between Lin Dan and Lee Chong Wei. Minutes after, when Carolina was on the podium, I remembered her with her specially designed Solibad shirt, braving the crowd in the Indonesia Open to take a photo with the children of the Solibad Bintang program in Jakarta. She was then herself, the humble, smiling girl with a great heart that I wish everyone could know. A true champion at heart on top of being this incredibly talented player. There is so much to remember from these games: Marija Ulitina’s win over Saina Nehwal, who was operated on this morning. I really hope she will recover fast to be back soon on court as she too brings a lot to the sport. I wish all the best to Li Xuerui, who couldn’t defend her chances in the bronze medal match. Maybe that’s why Nozomi Okuhara wasn’t celebrating so much on the podium – maybe she felt she didn’t fully deserve it. But she did, believe me, as this young Japanese player is astonishing and deserves an Olympic medal. Bets are now on whether she can turn that into gold in four years. Ratchanok, Tzu Ying, Carolina and others will be there to trouble her for sure. I’ll remember the joy of Scott Evans when he beat another great guy – Mark Zwiebler. I’ll remember the fantastic performance of the men’s double from England, Marcus and Chris, who deserved to get bronze. 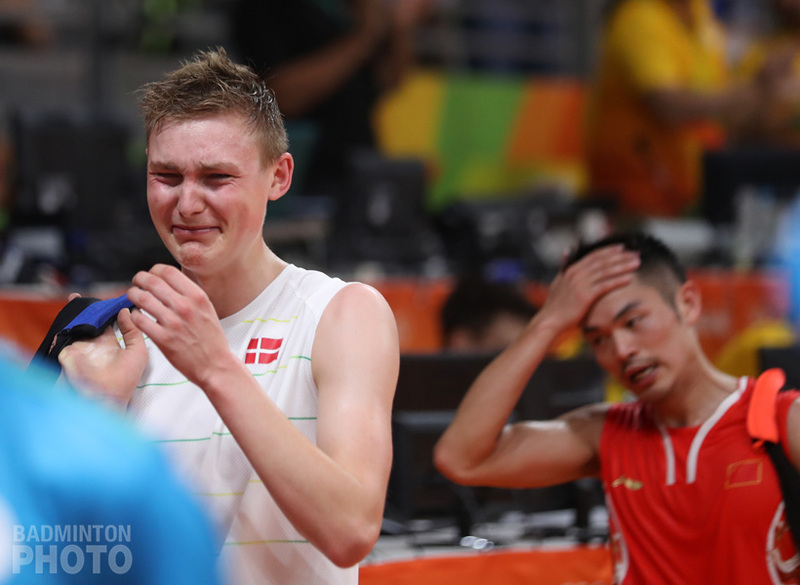 I’ll remember Viktor Axelsen’s tears when he beat Lin Dan in the bronze medal match. What a talented young man he is! I was even more surprised when I saw his interview in CCTV, answering questions in fluent Chinese. He’s got all talents and will sure be one of the greatest players of the future. I’ll remember matches which were almost over but went the other way – the final of the women’s doubles, Christinna and Kamilla, leading 19-16 in the decider before losing to the Japanese. They were devastated, yet the day after, they said that they were 99% happy about their silver medal after all. Being content with what you get is also great sometimes. 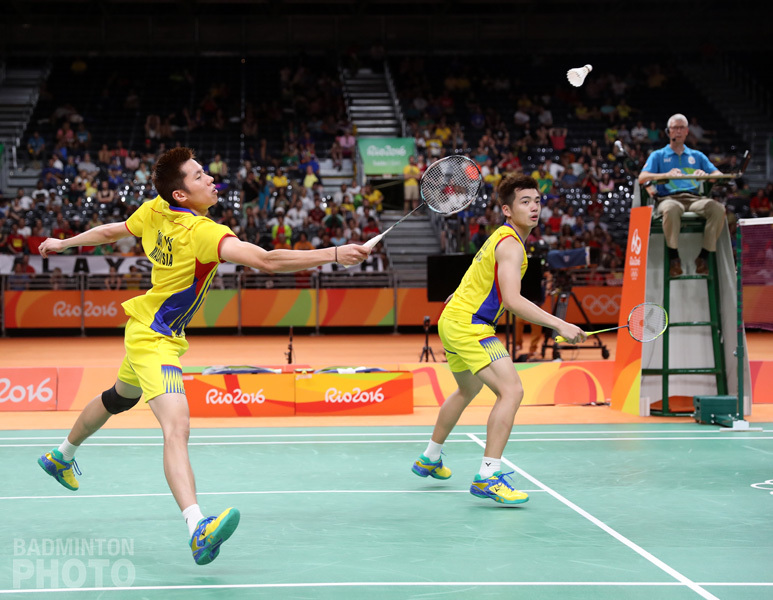 Same goes with Goh V Shem and Tan Wee Kiong, who were 2 serves away from the biggest surprise of these Games. They served fault once each – it’s good in a way then no one can blame the other. But what a performance they showed! 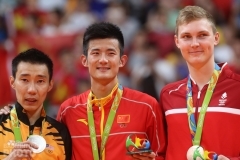 They should be proud, as should Goh Liu Ying and Chan Peng Soon for their silver medal. 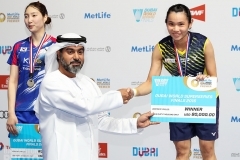 I read an article a couple of days ago where Liu Ying explains that she did all she could, that she was “just Goh Liu Ying, a normal player” with no special talent. It was a very moving article which shows that those who work hard can succeed, even if they feel they are not out of the ordinary. A great lesson for all involved in sport, especially youngsters. I had a thought for all my friends in the surroundings of the stadium. Media, TV people, photographers, staff, volunteers. I could taste again how it was when I had my amazing volunteers helping make things go right, in London and I could imagine it was the same in Rio. All the officials, who, also, live the dream of their lives out there. They all looked so professional and did a great job. The referees, the umpires, the line judges. Last but not least, I had thoughts for my friend and brother, Yves, whom I had given all my trust to cover the games for me, as a photographer. I had no clue that it would be so tough, so long, so difficult to cover all those matches which were all late on schedule. On paper, he would have some breaks between sessions, but the matches were much longer than anticipated, which meant that for the first 6 days, he had not a single second for him, he worked, worked, worked. Players, officials, staff would help him get some food or drinks while working. I felt bad that he was enduring all that while I should have been there, enduring it myself. But every night, I would look at all his pictures and relive the emotions of the day. Though his lens. I would imagine, what happened. I would feel what all my players friends felt. Joy, and despair. Those pictures you see along side this article are his and he truly deserves credit for the amazing job he did. Thumbs up also to my friends at Badzine.net- Don, Serla, Aaron and Kira and all the Badzine volunteers in their local channels in Germany, India, France, Poland who took turns to cover this amazing event for you, our dear readers, sometimes in the middle of the night with the time difference! Now, it starts all over again. Some have said they’ll quit the game for good or for some time at least. Lee Yong Dae, Bae Yeon Ju, Zhao Yunlei, Yu Yang and others. I will feel sad if I do not see them again. 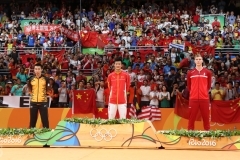 I have some secret hope that I will get to see Lin Dan and Lee Chong Wei again. The latter said he’d go for a last world title in Glasgow next year. Lin Dan has not been clear on what his intentions were… Who knows. 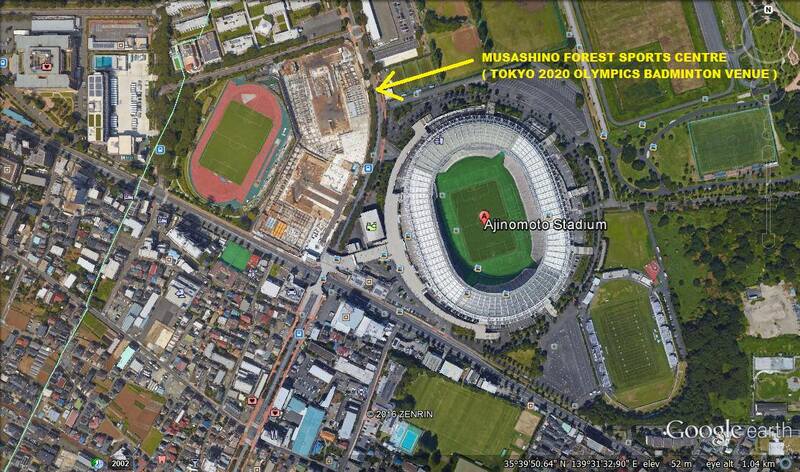 But it’s now all about Tokyo 2020. 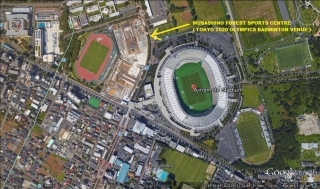 I know all of those who lived in the Olympic Village in Rio have now only one thing in mind: qualify for Tokyo’s Games. I do not know where I will be in four years, but hopefully not far from a badminton court with a bento box by my side…. Yes, yes great think to say something nice to other players. 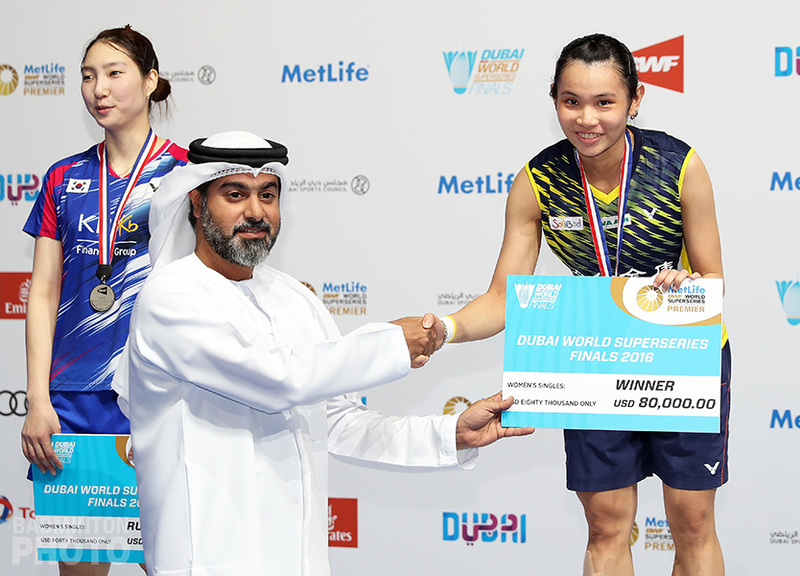 but not even a good words for the winner such as Tontowi Ahmad/lilyana Natsir and Ayaka Takahasi/Misaki Matsumoto ( the japanese?). Give me a break! Raphael and team U guys did a great job! Look forward to more over the many coming ! Thanks for a great write-up, Raph. 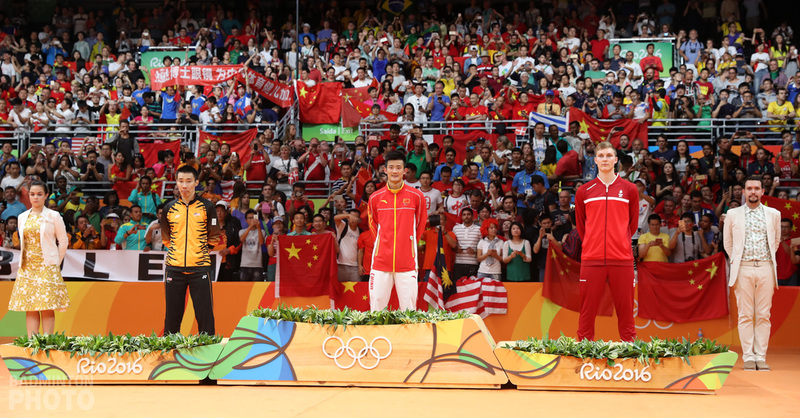 I didn’t watch all of the badminton matches but looking at the results – It has been a history making Olympics! First Olympic medal in badminton for Spain (Gold no less), First silver for India (First Indian in an Olympic badminton finals) for PV Sihdu. 3 silvers for Malaysia (best ever). First gold for Indonesia in XD, etc…the list goes on. The sportsmanship displayed was just amazing. Competitors on court but friends off court as evidenced by the various Instagram/Facebook pictures posted by the athletes themselves. 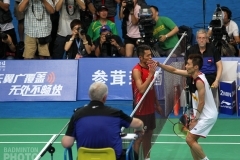 The SF match between Lin Dan and Lee Chong Wei is just classic and vintage for these two “Kings”! At the end of the games though, you get the sense that the torch is being passed to the next generations of players (Nozomi, Victor, Caroline, PV, etc) with the announcement of retirement of various veterans. Can’t wait for the next Olympics! A brilliant text, as always. It was a privillege to see history being made here in Rio. So many countries winning medals, four countries winning gold, an european champion, China not as dominant. Unfortunatelly, I wasn’t able to be in Riocentro, as I was in the Studios of SporTV as a badminton commentator. I know exactly how Yves felt. It was a long journey, but it was worth it.